The plan is to invest over €90 million between 2010 and 2012, bringing its total investments in China to over €130m. Gamesa says the investments come as a result of rising demand from the Chinese wind industry and to address local production needs for Gamesa’s new G9X-2.0MW, G10X-4.5MW and offshore wind turbines. According to Gamesa’s sales forecast for 2011, the Chinese wind power market will account for over 30% of total MW sold (vs. 15% in 2009). Gamesa has just broken ground on its 6th wind manufacturing plant, which is located in Inner Mongolia. The plant will be for the assembly of nacelles for the G8X wind turbine and have an annual production capacity of 500 MW. It is set to begin operation in 2011. The wind turbine manufacturer also recently started the construction of its fifth manufacturing plant in China in the city of Da’an, Jilin Province. The wind turbine facility will have an annual capacity of 500 MW of the G8X wind turbines. 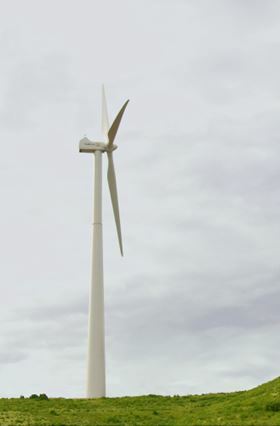 When these two plants come online in 2011, Gamesa’s annual wind turbine production capacity will reach 1.5 GW. Gamesa currently has 3185 MW of wind power under development in China. This includes agreements with Guangdong Nuclear Wind to develop and build wind farms in Liaoning (576 MW) and Heilongijang (450 MW); and with Datang Renewable Power for another 289.5 MW in Liaoning. In 2009, the Chinese Government created 7 Wind Power Bases where it encourages wind power production facilities. Encouragements include preferential policies and direct connection to the national power grid. The Wind Power Bases are expected to account for 74% of China’s total wind power generating capacity by 2020.